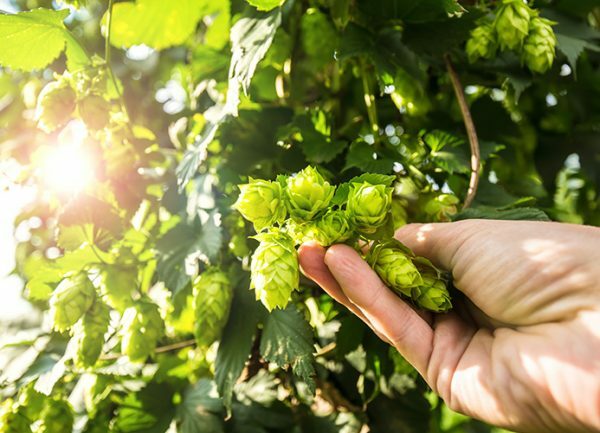 The Brewers Association (BA) recently announced an agreement with United States Department of Agriculture Agricultural Research Service (USDA-ARS) to fund public hop breeding program within the USDA system. The execution of this trust agreement follows 18 months of developing a comprehensive program document which establishes goals, and outlines the processes for achieving those goals. The breeding program includes basic important goals which satisfy the strategic objective of ensuring brewer access to ingredients. The yearly BA hop usage survey has established that craft brewers treasure aroma varieties above alpha varieties. Therefore, the breeding program will focus on aroma varieties. The objective of this breeding project is to develop disease resistant hop cultivars in a program centered in Washington state and release them with no intellectual property protection. The project will also serve as a source of breeding materials and a platform for additional research in or outside of the Pacific Northwest (PNW). 40 years ago, the brewing and hop industries were served by three public breeders, located in Washington, Oregon and Idaho. The brewing industry was characterized by a relatively small number of relatively larger brewing companies. The 1977 U.S. hop harvest totaled 54.3 million pounds, produced on 30,500 acres. Total farm gate value was $49.1 million, the equivalent of $198.3 million in 2017 dollars when adjusted for inflation. According to this account from 1985, the U.S. industry was characterized by 240 growers located in the same four states (Washington, Oregon, Idaho, California). There were eight total brewery buyers, with the two largest accounting for 66 percent of sales, and the five largest accounting for nearly 90 percent of beer sales. Fast forward to 2017. Today’s U.S. brewing industry has nearly 5,800 breweries, with craft brewers consuming between 30-40 percent of the U.S. crop. While the lion’s share of hop production originates in the three PNW states of WA, OR and ID, approximately three percent of U.S. acres are located in 27 other U.S. states; nearly 300 farms comprise the list of hop growers with registered grower numbers. Total farm gate value of the 2016 crop stands at $498 million. Importantly, today’s hop industry is characterized by significantly increased private investment, and unfortunately by decreased public effort (more on that in a minute). Public breeding stands at ~0.3 full-time equivalent breeders, or roughly 10 percent of the effort invested 40 years ago. So, while the value of today’s crop is 2.5 times that of the crop 40 years ago, invested public breeding effort has diminished by 90 percent. The Brewers Association funds will support the hiring of one full-time USDA breeder, thereby partially reversing this misalignment. 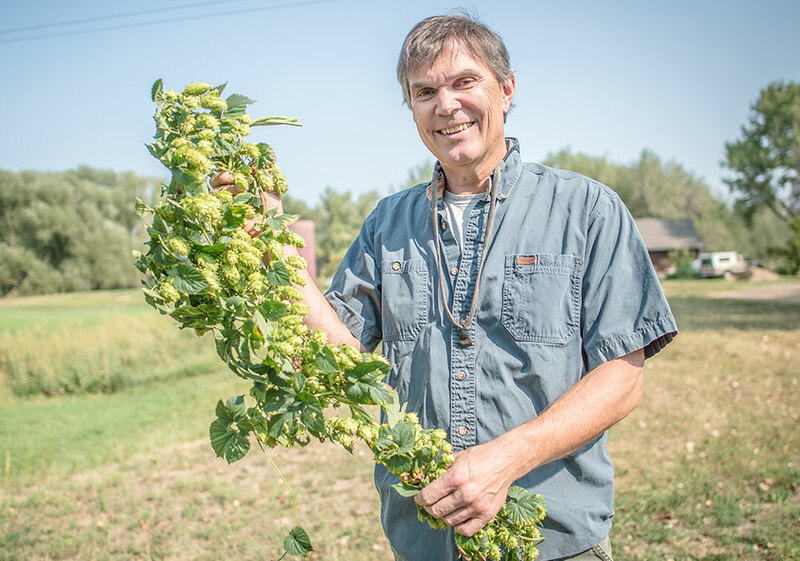 How Does the Hop Breeding Program Serve BA Members? 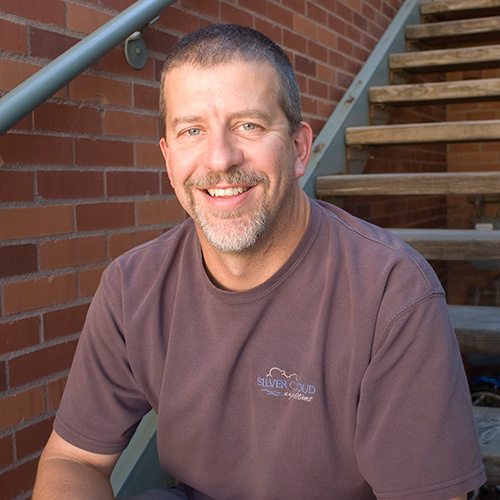 Brewers Association member brewers, dealers and growers all have a lot to gain. Think about the three most widely used aroma hop varieties used by U.S. craft brewers as measured in the BA 2017 hop usage survey (release date): Cascade (1972), Centennial (1990) and Chinook (1985). These public varieties are showing signs of age. Cascade in particular is a victim of its own ubiquity; in recent years, this durable stalwart has succumbed to heretofore unknown diseases pressure which has in turn increased crop production costs, while at times decreasing quality and yield. Everyone has a stake in identifying replacement varieties with improved aroma quality, yield and disease resistance. There’s no denying that the big story this past decade has been the rapid rise of very high quality licensed varieties. These varieties offer exceptional aroma diversity that brewers and drinkers cherish. They typically yield well, and just like public varieties, they each have their own quirks such as growing habit, disease and pest pressure, picking date. As learned over time, not all brewers and growers can access these varieties, (although that’s changing). Sometimes these varieties travel well to growing regions outside the U.S. Pacific Northwest, sometimes they don’t, and, sometimes they can’t (based on the preferences of their owners). So, while the market is surely more diverse than ever before in terms of the number of varieties available to brewers, not all varieties are available to all brewers. The same can be said of growers as well. In addition, private ownership of key varieties, and consolidation of larger hop sellers has resulted in less diversity of sellers per pound. While most brewers who can access these varieties agree that they perform well in terms of aroma quality, not all brewers agree that the value proposition is sustainable, especially given intense competition in the retail beer marketplace. Ten short years ago, 1,500 U.S. brewers bought hops and produced beer. Today that number is nearly four times as many (~5,800 as of this writing). The single biggest challenge in getting to here from there during an era characterized by 12 percent average annual growth has been meeting demand; brewers (and growers for that matter) could not grow their businesses fast enough. Looking forward to an era likely to be characterized by very low single digit volume growth (or even perhaps negative volume growth?) and continued consolidation of brewers, the biggest challenges will be controlling cost, increasingly intense competition, and meeting those two challenges with superior quality beer delivered most efficiently. Last, the very long-term stewardship role which public breeding fills, as a reliable open source of germplasm for any program, public or private, anywhere in the U.S. or other country. Done well, and in concert with USDA-ARS hop geneticists, public breeding efforts will serve the needs of brewers, growers, dealers and researchers for decades to come. In the very near term, USDA-ARS will work to identify a willing, suitable operating location, and to finalize and execute a sub-award. USDA will also work to hire a full-time hop breeder and perhaps additional technical staff to conduct the breeding program activities. Brewers Association staff will begin working on a hop sensory assessment program in 2018, utilizing new sensory methods that will include hundreds of brewers, to probe brewer acceptance and to guide rational acreage increase decisions. This assessment program is essential to bridge a persistent gap between variety development and commercialization. Brewers Association staff will also work to create an advisory group which will inform the breeding and sensory assessment programs. The advisory group will include brewer, dealer, grower and researcher stakeholders. Finally, work will be done to figure out how to most effectively incorporate and harmonize the activities public breeding program fits within the existing hop industry landscape, both in terms of funding and in terms of activity. For example, until 2012 or 2013, Hop Research Council made a large annual investment in the hop breeding program located at Washington State University at Prosser. And several state hop commissions have ongoing test plot projects. Brewers Association members can be rightly proud that their dues resources are being put to good use in support of public breeding, and to meet the primary strategic goal as set forth by the BA board of directors: brewer access to an adequate supply of high quality ingredients. Breeding programs take a very long time to bear fruit. So, while the 10-15 year or longer likely horizon for success can’t be dodged, progress must start sometime. And that time is now.